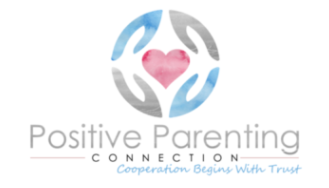 You are here: Home / Parenting / Positive Parenting Resources that Rock! 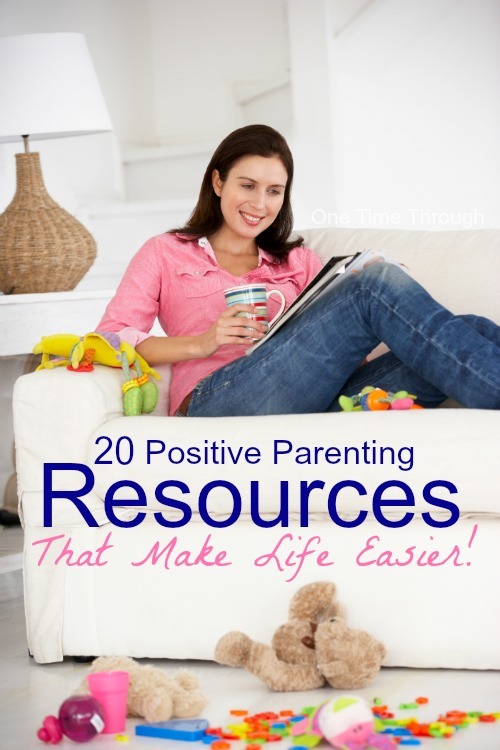 Positive Parenting Resources that Rock! 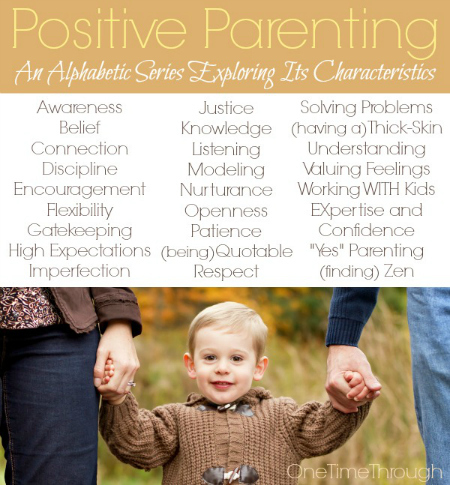 Have you heard the term Positive Parenting? It’s more than a just a fad or a catch-phrase to describe the latest discipline technique. It is a research-backed approach to parenting kids respectfully that is gaining momentum and support around the world. 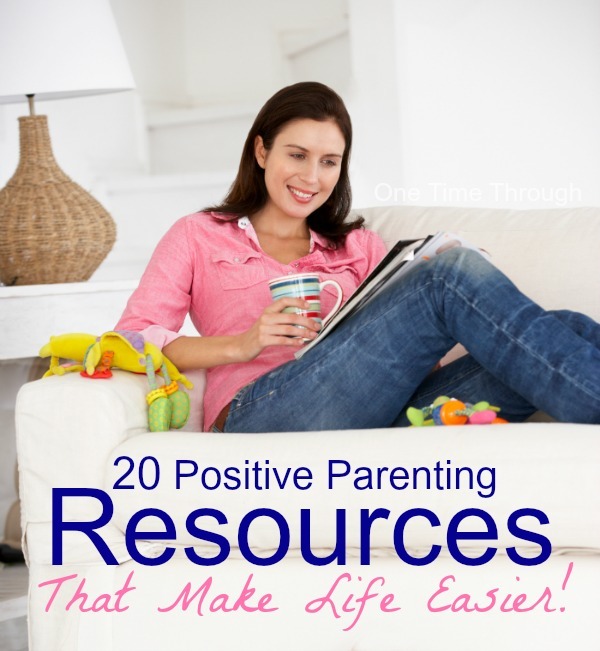 When I first started learning about positive parenting, I couldn’t get my hands on enough resources to learn more. Over the last 6 years, I’ve discovered plenty of amazing books, speakers, websites, associations, and blogs that have helped me learn to be the parent I want to be – and which have made parenting a LOT EASIER! Today I’m sharing with you my positive parenting resources list in the hopes that you’ll find it as helpful as I have! There are Amazon Affiliate links in this post. Please see my Disclosure to learn more. 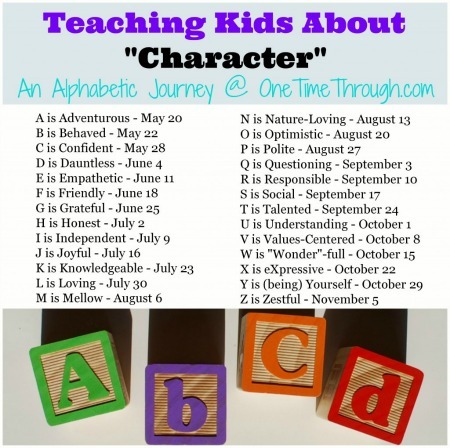 It is a collection of skills and knowledge that create an approach to kids that focuses on connecting with kids and treating them respectfully, without the use of punishments or bribes. It has also been shown by research to be effective, in the short term and long-term, in raising confident and emotionally healthy kids with good self-esteem. To find out more – check out this post: What is Positive Parenting? Is it for my family? Become familiar with some of the most well-known positive parenting experts and authors! I’ve listed their names, along with their most popular books, their websites and social media links. Known for: Challenging the need to control children through the use of punishments and rewards. His catchphrase encourages parents to “work WITH” kids instead of “doing TO” them. Known for: Their highly successful books (sold over 3 million!) and parenting workshops which remain popular with parents 30 years after their initial release. 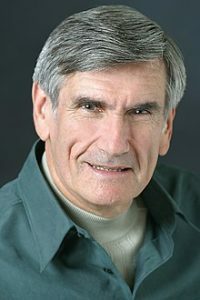 Known for: Detailed, common-sense explanations of the downsides of using punishment, as well as providing tons of common-sense and positive alternatives. Known for: Her humorous approach to helping parents decrease their stress through positive parenting strategies. Known for: Being a 1980’s model/actress and for following the teachings of Magda Gerber. Known for: Being a mother of 7 children and the author/co-author of over 15 positive parenting books! Known for: Encouraging parents to communicate these 6 critical life messages to their kids: I believe in you, I trust you, I know you can handle this, You are listened to, You are cared for, You are very important to me. Known for: Advocating a playful parenting approach to help build connections with kids. Known for: Addressing the emotional needs of children and their parents. Known for: Looking at the neuroscience behind how children learn and grow and what parenting strategies are the most effective for the development of emotionally and mentally resilient children. Known for: Creating Non-Violent Communication, a way of speaking and using language that helps people listen to others for their underlying feelings and needs, and express their feelings and needs in ways that others can hear peacefully. 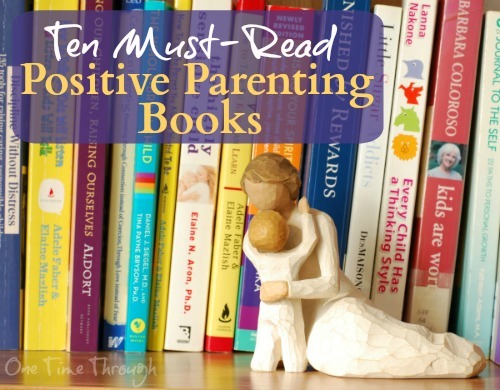 Also be sure to read the kernels of wisdom that I gathered from each of my Top 10 Must-Read Positive Parenting Books. An assortment of other helpful online parenting associations and websites that encourage respectful and proactive parenting. An ongoing series which breaks down the positive parenting approach into its critical ingredients. Each post summarizes the current thinking and parenting research in that week’s topic, and gives examples of how the strategies might look in real life. 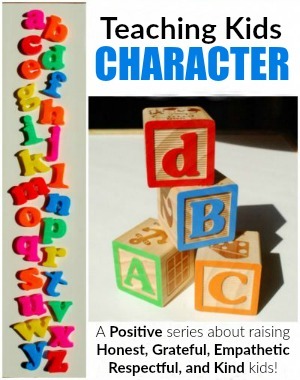 This series covers 26 positive character traits that we’d like to encourage in children. 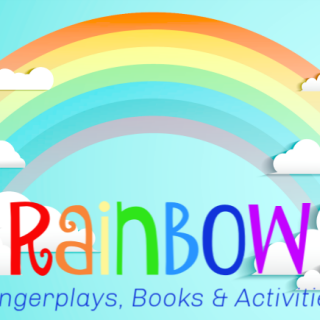 Each posts reviews positive parenting strategies to use, examples of how and when to use them, and recommends children’s books that can reinforce the traits. Bloggers write new posts several times a week about topics that relate to their own lives with their children – and share their experiences, expertise, and encouragement. They are real parents – who are thrilled to be entering a conversation with you. 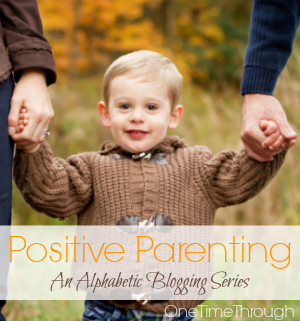 These are my favourite positive parenting blogs. Amanda doesn’t shy away from the not-so-glamorous realities of day to day parenting, and her advice is always helpful and intended for real parents. Although this girl knows her stuff, she’s never condescending and totally relatable. Check out her top posts: Overwhelmed Mom and the Mom Funk and The Ultimate Guide to Stop Yelling at Your Kids. She writes, along with a number of other experienced collaborators, about non-punitive parenting with kids of all ages. 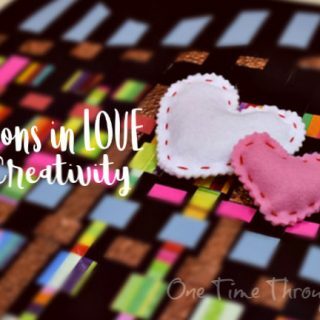 Check out the collection of posts filled with Alternatives to Punishment and the advice in this post to Avoid Button Pushing Moments was just perfect! Kate is a former Preschool Teacher and an Aussie mom of 4. 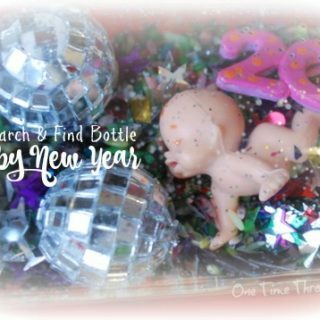 She blogs about all things to do with raising kids and parenting. She’s funny – and witty, and she makes beautiful printables with inspiring messages like these Love Lunch Box Notes. My favourite parenting post of hers is probably this one on why we shouldn’t strive to make our kids happy. 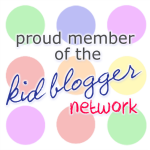 Alissa is a mom of 3 blogging about real parenting and ways to connect with kids. Her blog’s slogan is “Joyful parenting for real people” and she focuses on sharing ways to help other parents find the joy in everyday parenting moments, regardless of the challenges. I love her 64 Positive Things to Say to Kids post and her brutal honesty and self-reflection in The Day I Realized I Was Bullying My Kids may strike a note with you. 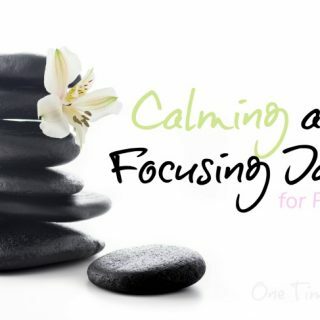 Kate is a mom who blogs about positive, peaceful and respectful ways of raising kids. Her blog’s slogan is “Parenting with respect” and she focuses on sharing everyday stories of life as a parent, inspirational posts as well as positive discipline tips and strategies. 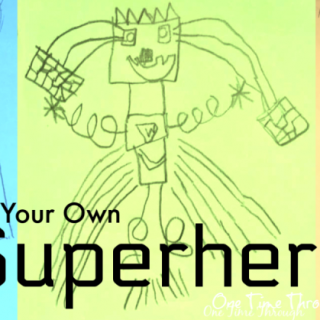 She’s got an amazing Beginner’s Guide to RIE Parenting post that will connect you to all kinds of other positive resources and be sure to check out her post on Rebuilding a Child’s Confidence. I blog about how to turn everyday activities with kids into fun learning experiences – and am passionate about sharing all the things I continue to learn about positive parenting. I am so honored to be mentioned among so many great authors and bloggers! This is a great list! It is great to have all of these resources in one place. And there are some new ones I wasn’t familiar with. I will be referring to this over and over! 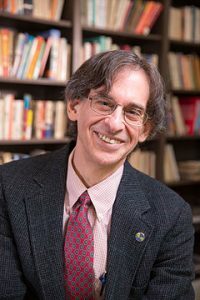 I’m curious as to why you haven’t included Dr Dan Siegel of The Whole Brain Child and No Drama Discipline – to our family those books provide the research-backed basis for the positive parenting techniques that many of the authors propose using anecdotal evidence. Hi Tiffany and thanks so much for dropping by! 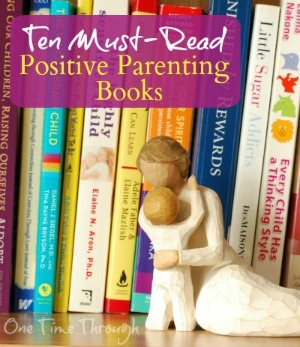 The Whole Brain Child is one of my favourite parenting books as well – I’ve actually included it in my list of favourite parenting resources here: http://onetimethrough.com/positive-parenting/positive-parenting-book-list/. I guess it just didn’t make my top 10 – mostly because it’s a little more challenging to read than the others, and it had fewer strategies to share than the other books I mentioned in this post. I highly recommend it though for sure and I have used it as a reference for many of my positive parenting series posts! As for No Drama Discipline – it’s currently on my list to read, so I can’t recommend it yet. I hope it’s as good as I hear. I’m currently working my way through Dan Siegel’s “Parenting from the Inside Out” which has also brought lots of “lightbulb” moments. Thanks again for your feedback! 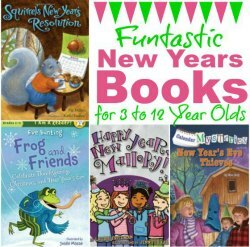 Thanks for sharing this books! Will check it out soon!